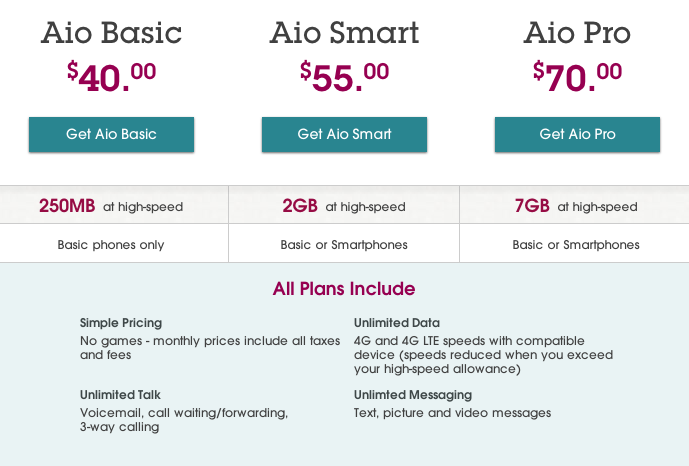 Have you heard of Aio Wireless? I hadn’t until recently! They are a well-established wireless service provider and best thing? Quite reasonable when it comes to prices too!!! They have excellent 4G coverage nationwide and offer all of the popular devices and brands! AND you can migrate to them with your current phone too — including iPhones and more. They have NO contracts too!! If you are looking at switching once your current contract is up, I definitely recommend checking them out! They seem to be all about finding what is convenient to YOU. In fact, they even put together this handy Tip sheet for apps that are helpful in planning your Holidays!! Check it out! Best thing? They want to give one lucky Wheel n Deal Mama reader a pretty awesome prize!! 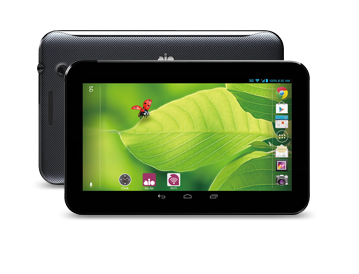 One reader will win this ZTE Velox™ 7″ Android Tablet + 1 Month of Service! Yup!! An Android tablet! $179 value. How to enter? Leave a comment for EACH entry. Do not combine all entries in one comment as that will only be counted as one entry. 1) Comment below with how you would use this tablet! 2) Share this giveaway on your Facebook Page (can be done daily). 3) Follow Wheel n Deal Mama on Facebook. 4) Subsribe to Wheel n Deal Mama Emails. 5) Follow Wheel n Deal Mama on Twitter. 6) Follow Wheel n Deal Mama on Pinterest. This giveaway will end December 17 at 11:59pm CST — winner will have 24 hours to claim their prize once notified or a new winner will be picked. Good luck!! I would love to give this to my son to use for learning games and help with homework! I would use it for stuff for my kids. I would use it for myself and for my daughter with the educational apps! Want one so bad but not in budget! Tweeted the message you posted. Liked and Shared on FEB and get your emails. I don’t have or want to use twitter or instar am or pinterest. But I would use my tablet for surfing and education. I would use this to read news and ebooks for work. My kids and I would enjoy using this tablet for games. It would definitely be passed around between my kids and I. I would like to use it for surfing, Facebook, and all the other site I like to visit every day. I spend a lot of time on the Internet. I would use it for just about everything; playing games, surfing on the internet, email, reading, and to get my recipes organized. I’m following Wheel n Deal Mama on Facebook as Andrea Hamilton. I am subscribed to Wheel N Deal Mama emails. I am following Wheel n Deal Mama on twitter (@andreacouponz). I’m following Wheel N Deal Mama on Pinterest as Andrea Hamilton (davandi). I would actually give it to my hubby! And I already follow on fb and twitter! I would love to have a tablet for my children so they can use their learning apps and watch Netflix while on the go. It would be a great Christmas gift! * Tried to change incorrect email on previous comment and accidentally hit enter instead of delete. I don’t have a computer or anything, I only have my cell phone. So I would use this to keep in touch with my family that lives in other states, would use it to enter contest, and I would get the kindle app so I could read books on it. I am disabled so this is one of those things I never have the money to afford. I would use this everyday for reading, checking my email, grocery & shopping trips. I love it! Great Giveaway! This will be the best Christmas gift I can give to my daughter. My little boys are the perfect age to make good use of this now, they are always asking to research for information for their latest homework project. I also like to interact with family who live on the other side of the country via Facebook, Twitter and Skype. I also like doing an online food shop and do lots of our household shopping online too, so this would be really handy to sit anywhere whether in the garden, on the way to work or just lying on my bed upstairs. I would use this tablet when I’m on the go to keep up with my emails and social media. I Follow Wheel n Deal Mama on Facebook. I Subsribe to Wheel n Deal Mama Emails. I Follow Wheel n Deal Mama on Twitter. I Follow Wheel n Deal Mama on Pinterest. I have followed Wheel n Deal Mama on Facebook. I have Subsribed to Wheel n Deal Mama Emails. I’d use the tablet to give to my mother so she could read her books electronically. I subscribe to Wheel n Deal Mama Emails. I would use this in class and take lecture notes on it. My current laptop weighs so much and battery life is like 20 minutes. This would be the perfect replacement. I would let my daughter use it and I would use it for movies, games, Facebook and video chat!! Did all entries! Thank you! I would use to keep in contact with my family while we are stationed overseas! I have an online business and this tablet would make my job easier, I could check and keep track of my online sales and on my spare time I could use it to watch movies or videos. LOVE your Pinterest and Twitter handles. 🙂 Merry Christmas! Getting ready to start working on my Master’s program, and my iPad is wearing out lol. Ty for the giveaway! 🙂 Merry Christmas! I’m sorry. I missed the part of not combining entries. I’m so used to trying to make things easy as a fellow blogger. I have one entry above for the “comment.” And now, to do this correctly…. I just like to look up trivia facts on IMDB while I watch TV shows and movies. I think this would be way better than my tiny phone! I’d use it for internet access when I go with my husband when he travels for work. I would love to have this to keep me up on all the deals I know im missing out on! I would use this for all kinds of things in my personal life – email, daily planner, games, you name it! I would use this to keep up on all my favorite social networks and for checking email.